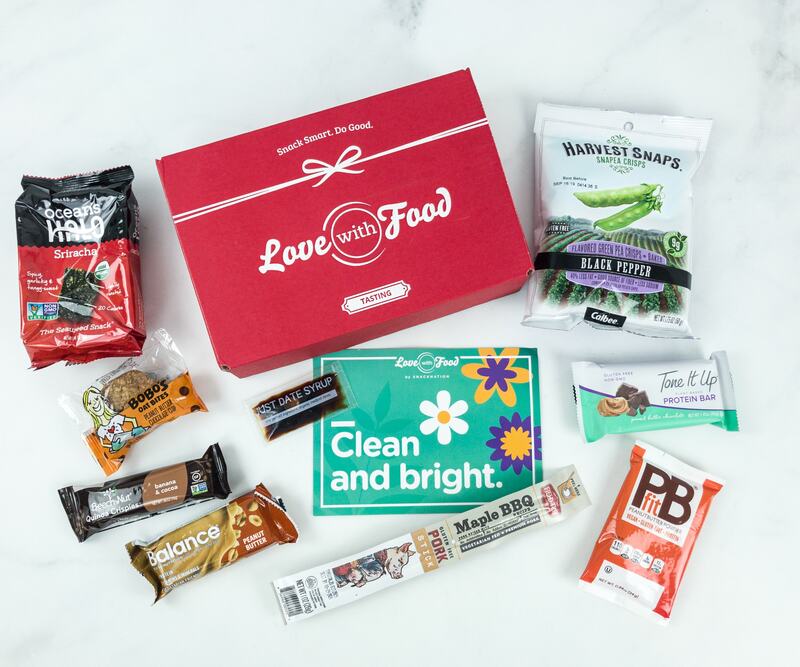 Love with Food Tasting Box is a subscription that delivers 6+ healthy snacks every month. 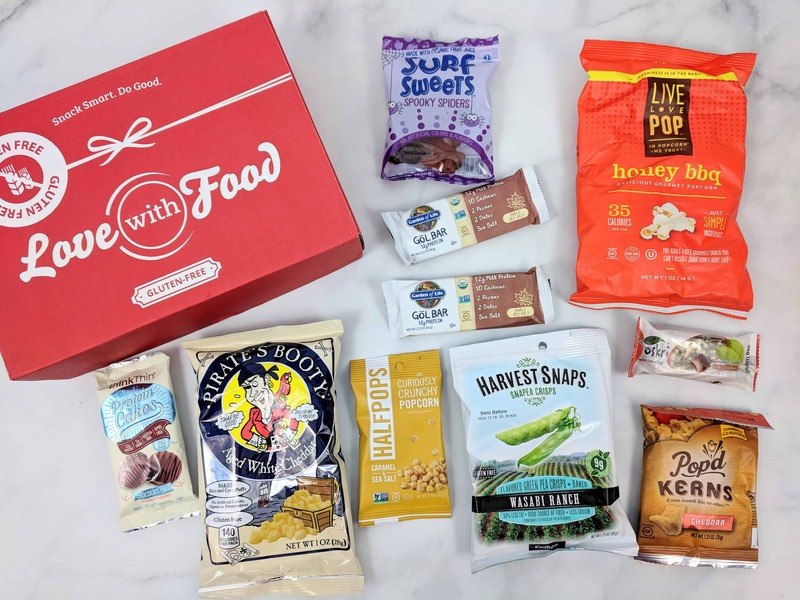 See the April 2019 box review + coupon! 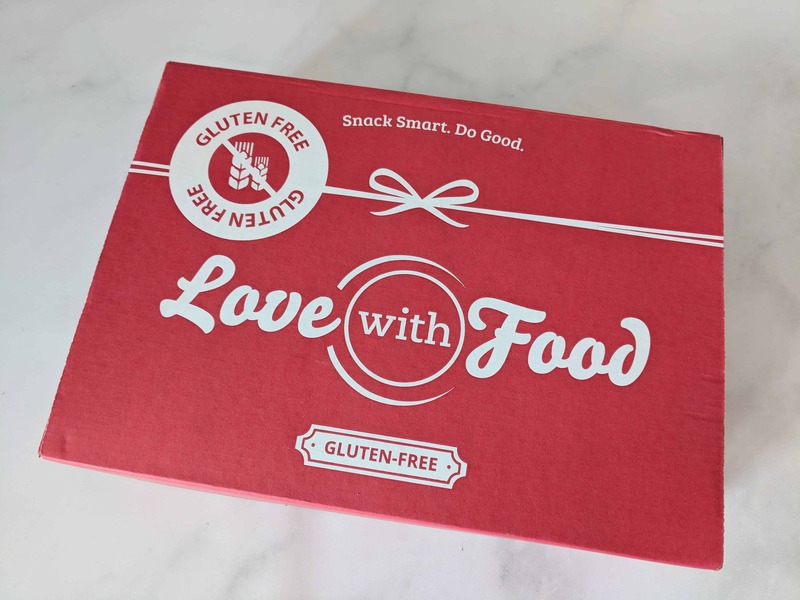 The theme is CLEAN AND BRIGHT! 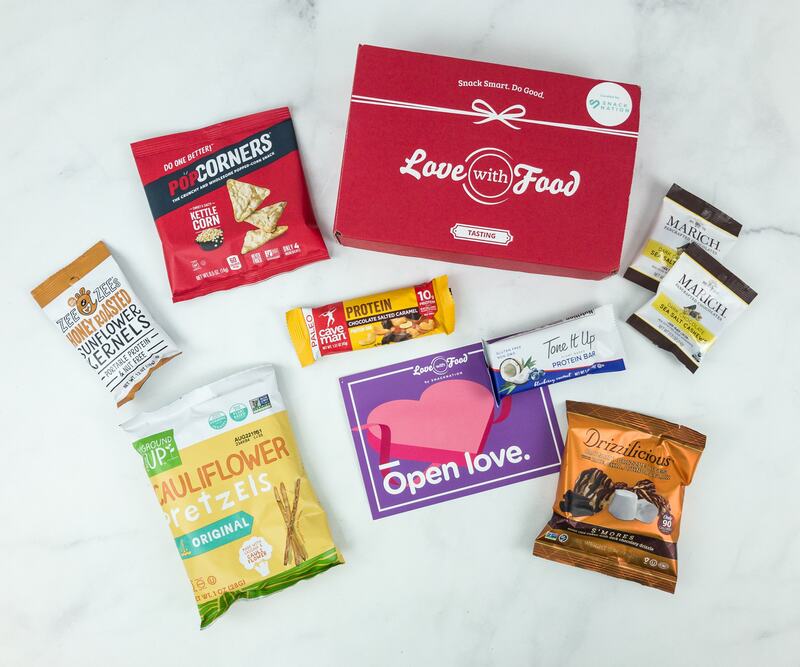 Love With Food is a snack discovery subscription. 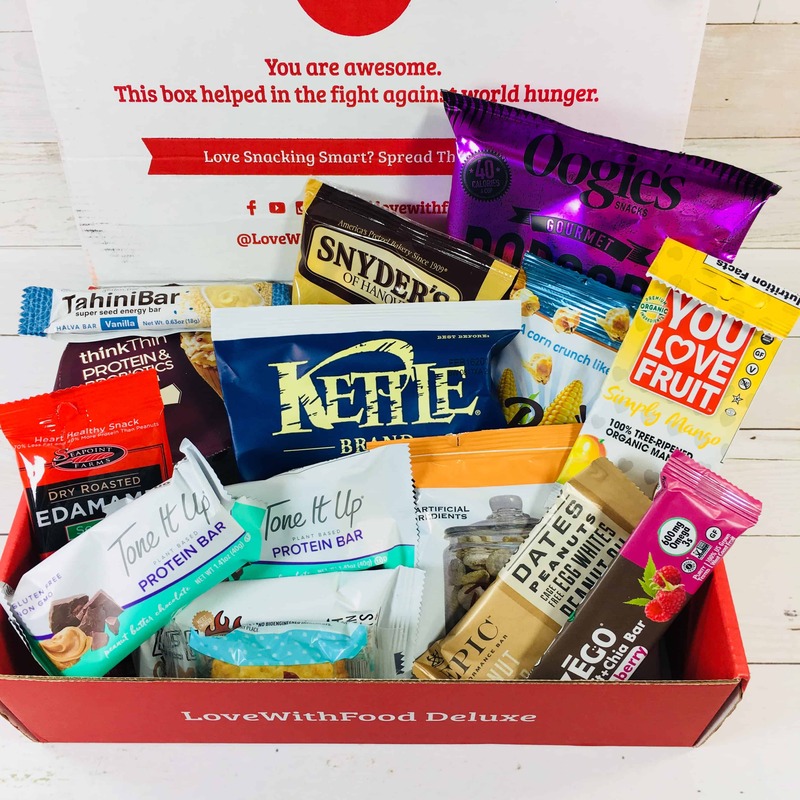 Check out the January 2019 Deluxe Box review + coupon! 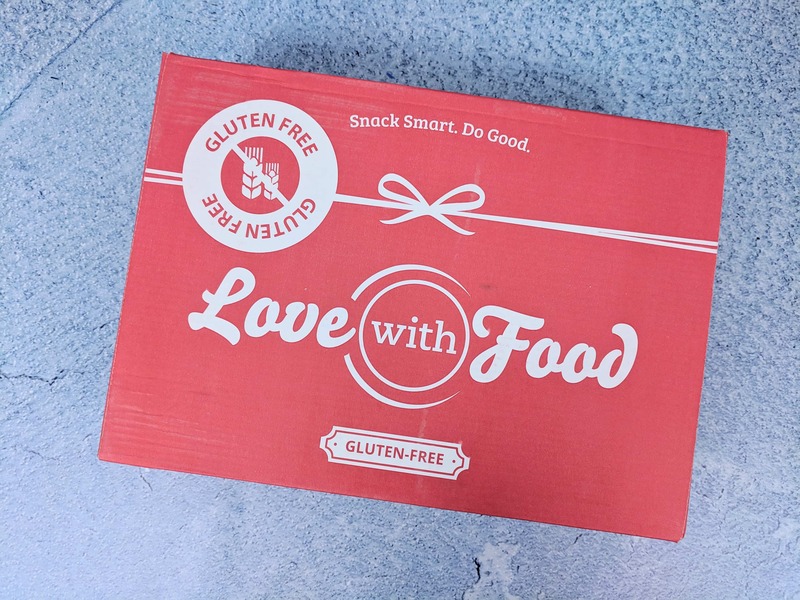 The theme is BETTER EVERY DAY! 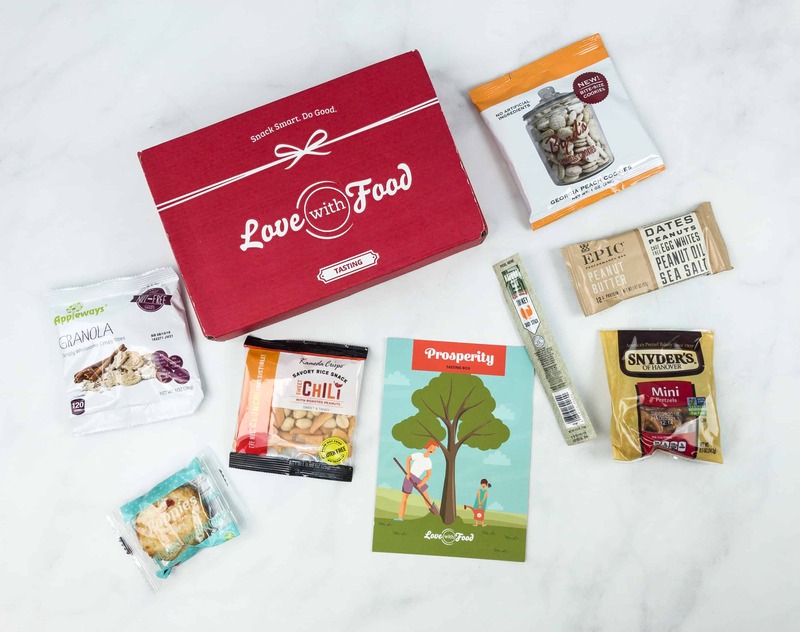 Love With Food is a snack discovery subscription. 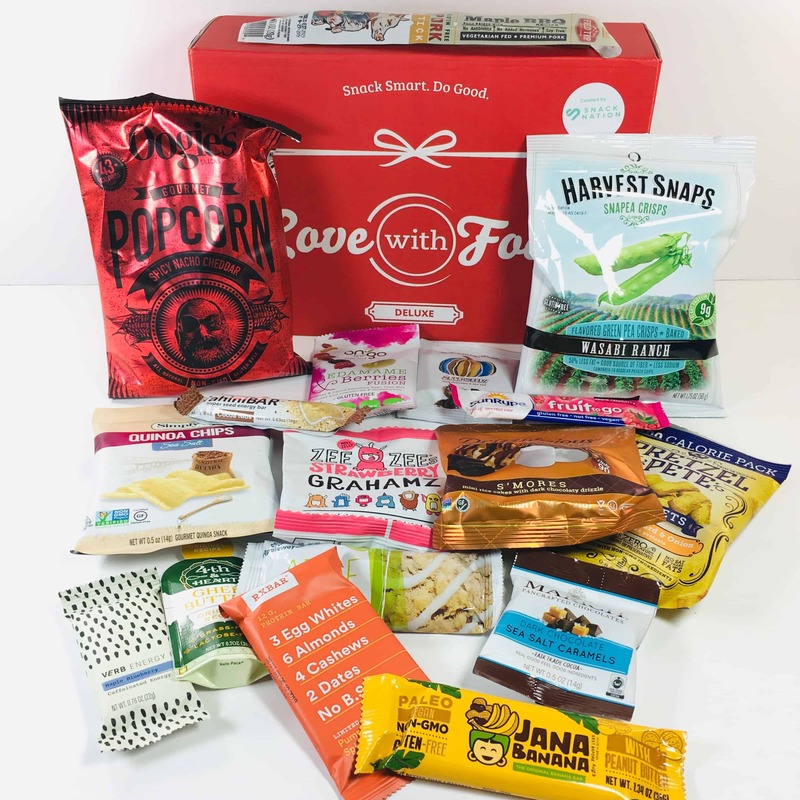 Check out the December 2018 Deluxe Box review + coupon! 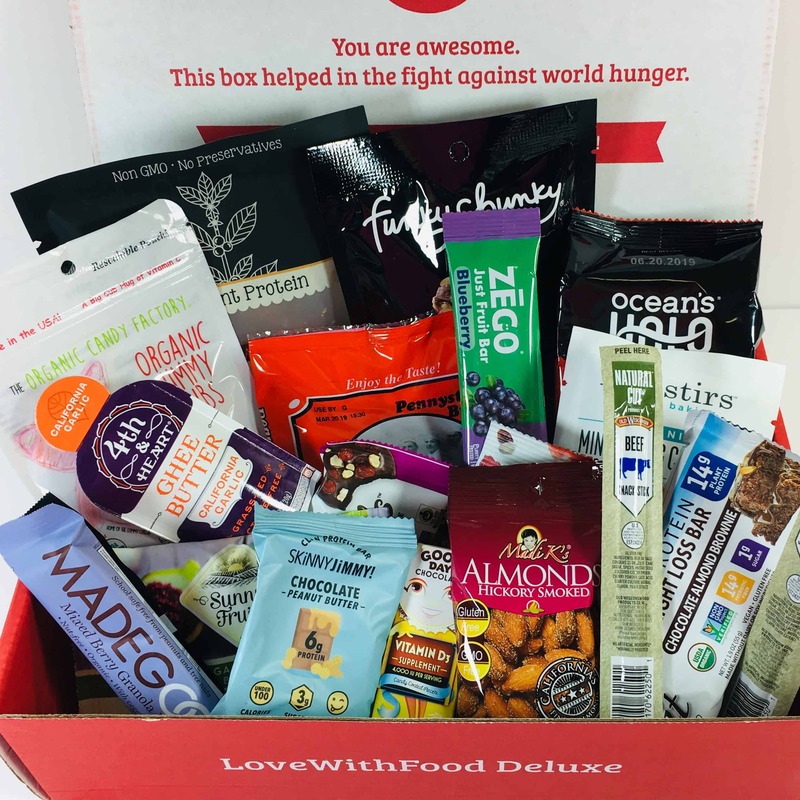 The theme is GIVING IS A GIFT! 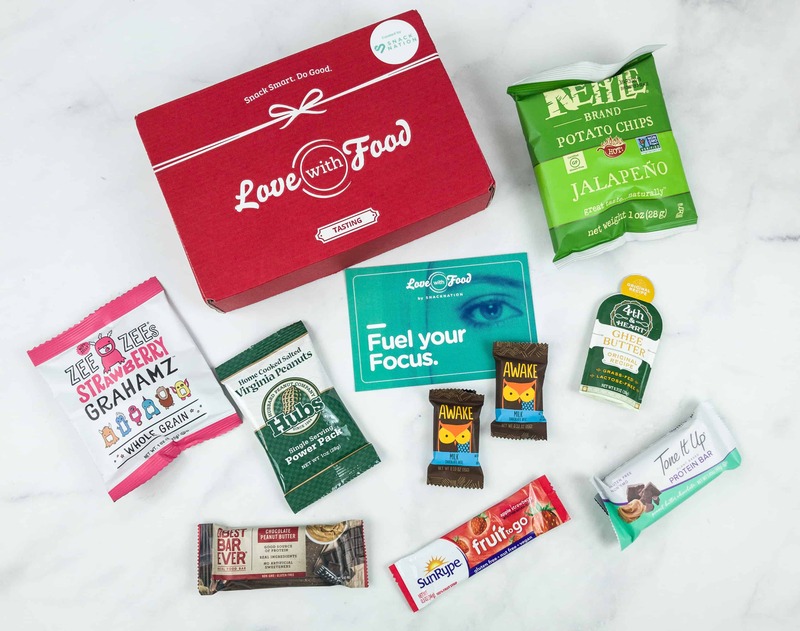 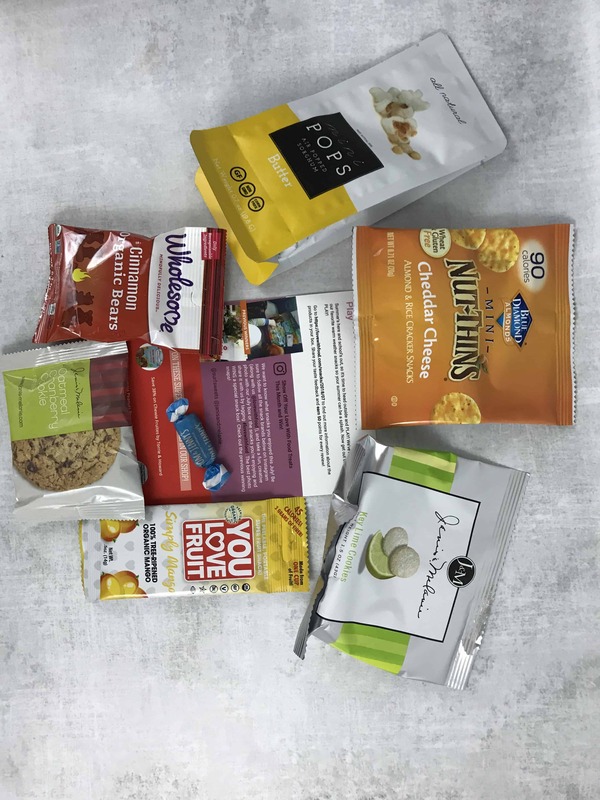 Check out all the snacks from FUEL YOUR FOCUS themed Love with Food Deluxe Box! 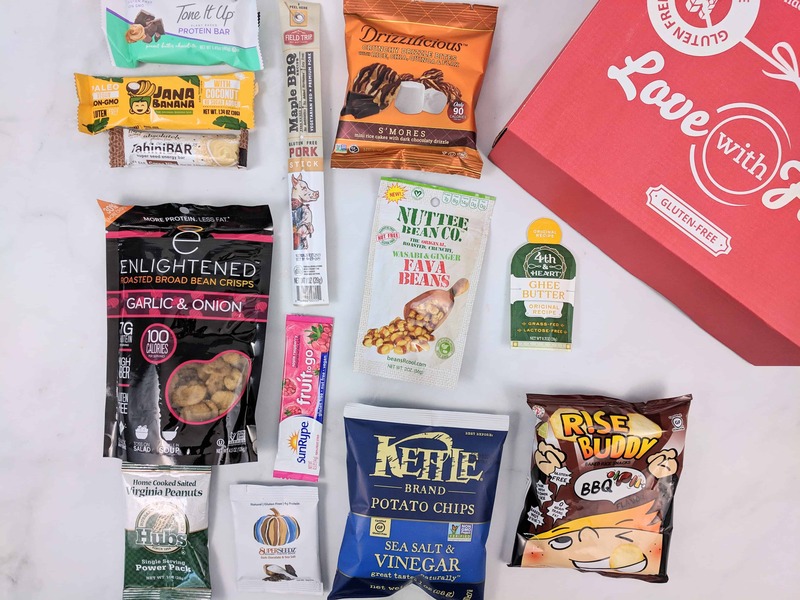 Here’s the November 2018 review + coupon code! 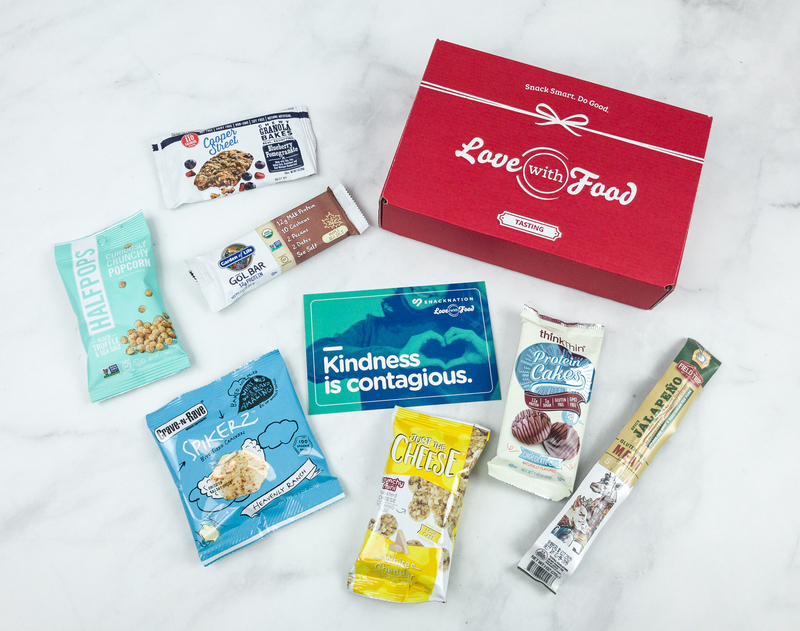 Check out all the snacks from KINDNESS IS CONTAGIOUS themed Love with Food Deluxe Box! 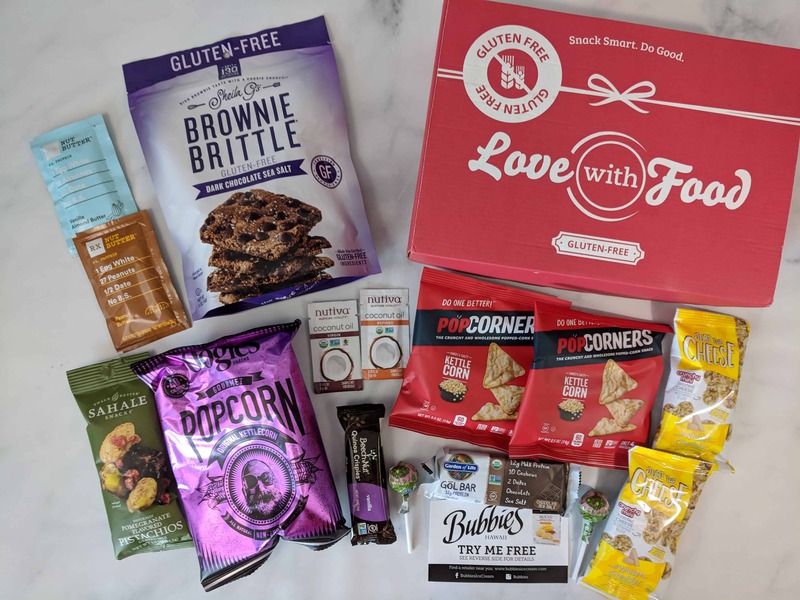 Here’s the October 2018 review + coupon code! 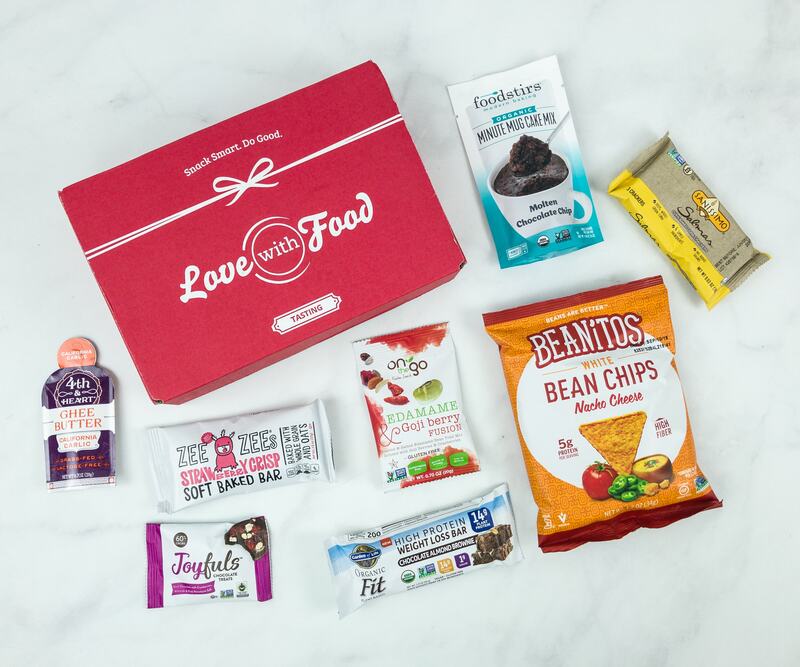 Check out all the snacks from PROSPERITY themed Love with Food Deluxe Box! 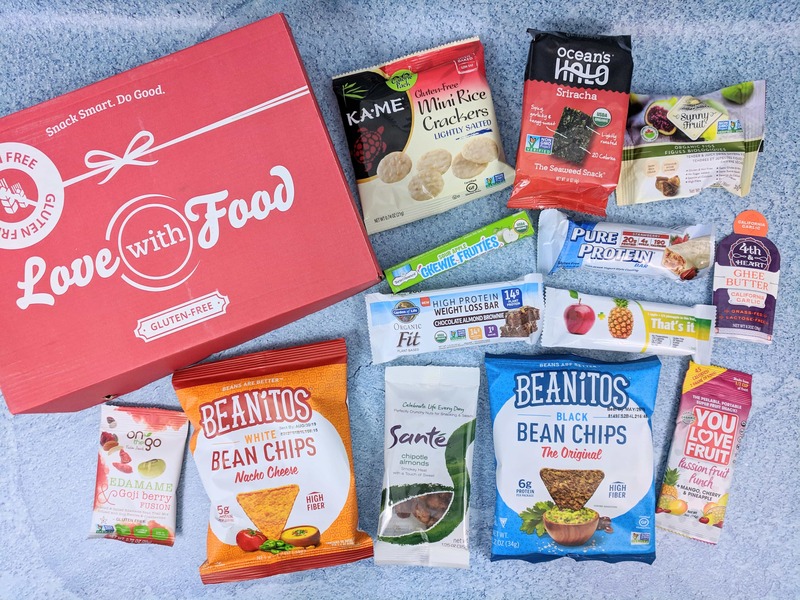 Here’s the September 2018 review + coupon code! 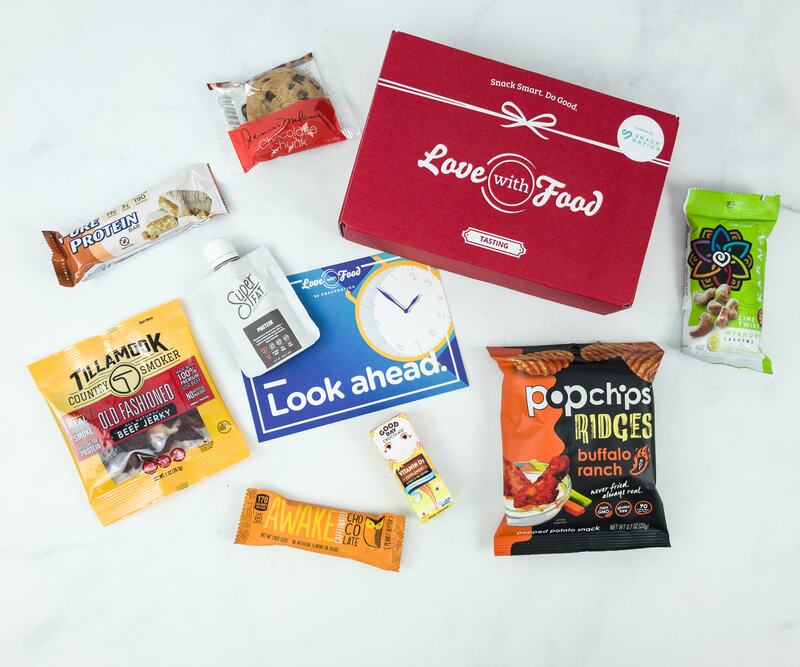 Check out all the snacks from REACH themed Love with Food Deluxe Box! 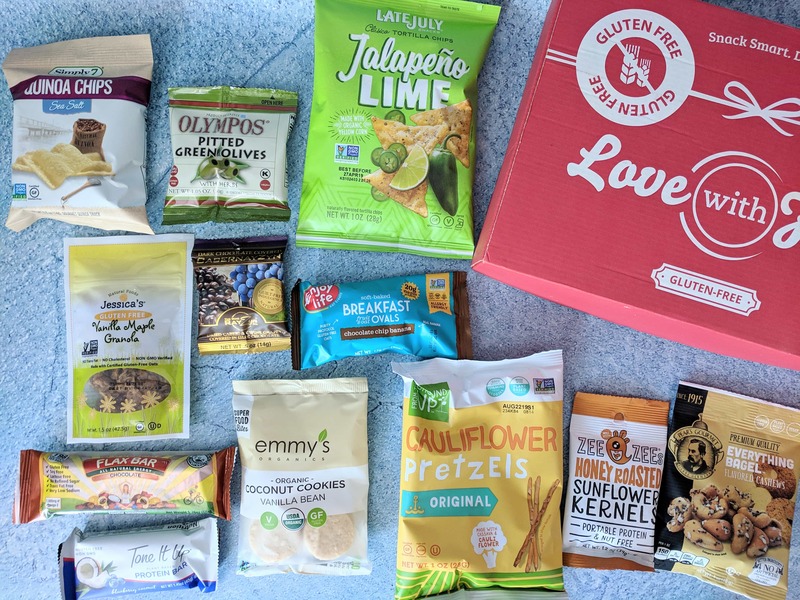 Here’s the August 2018 review + coupon code! 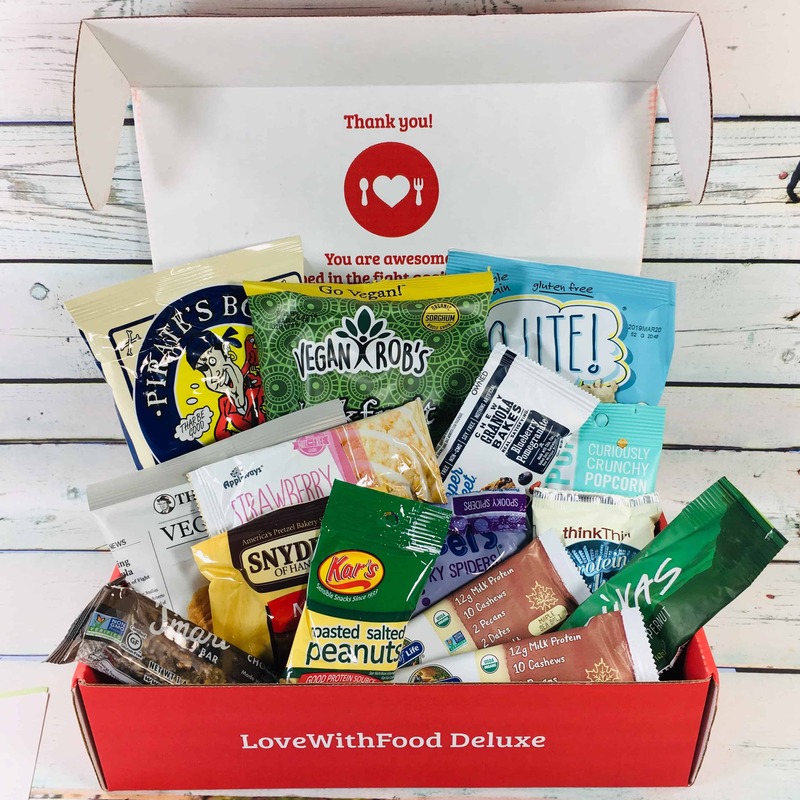 Check out all the snacks from PLAY themed Love with Food Deluxe Box! 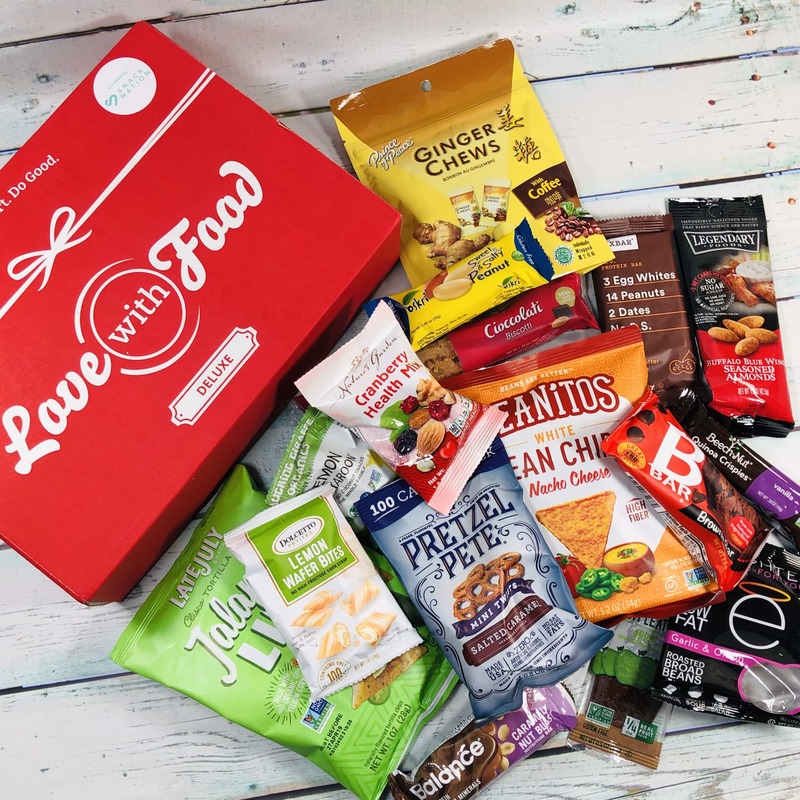 Here’s the July 2018 review + coupon code! 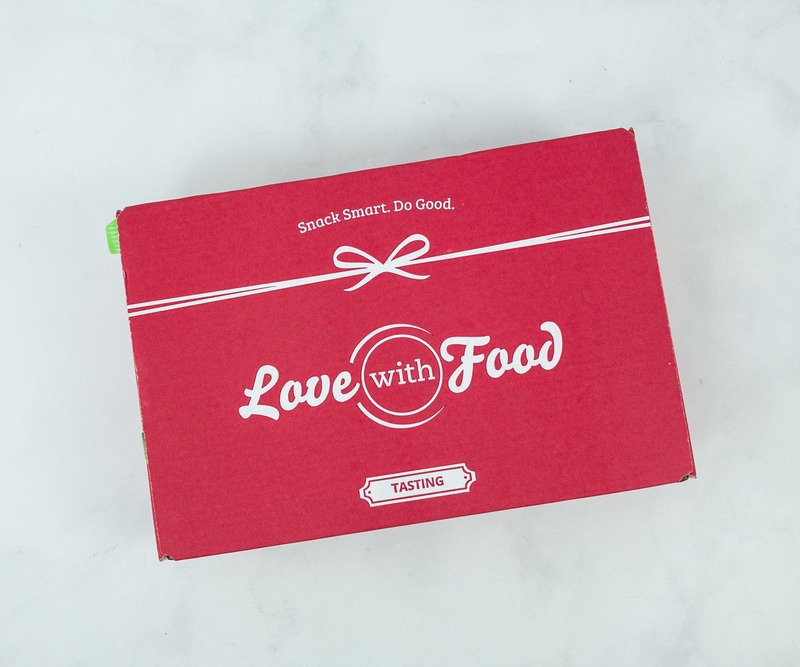 Love with Food Deluxe June 2018 theme was Live! 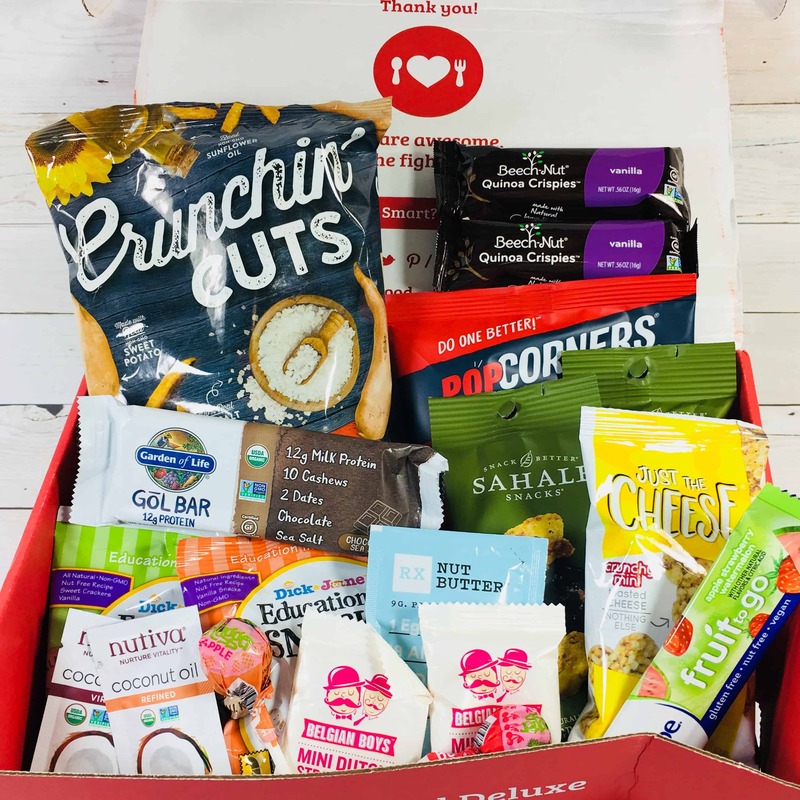 Check out the review of this snack subscription + grab 25% off coupon code! 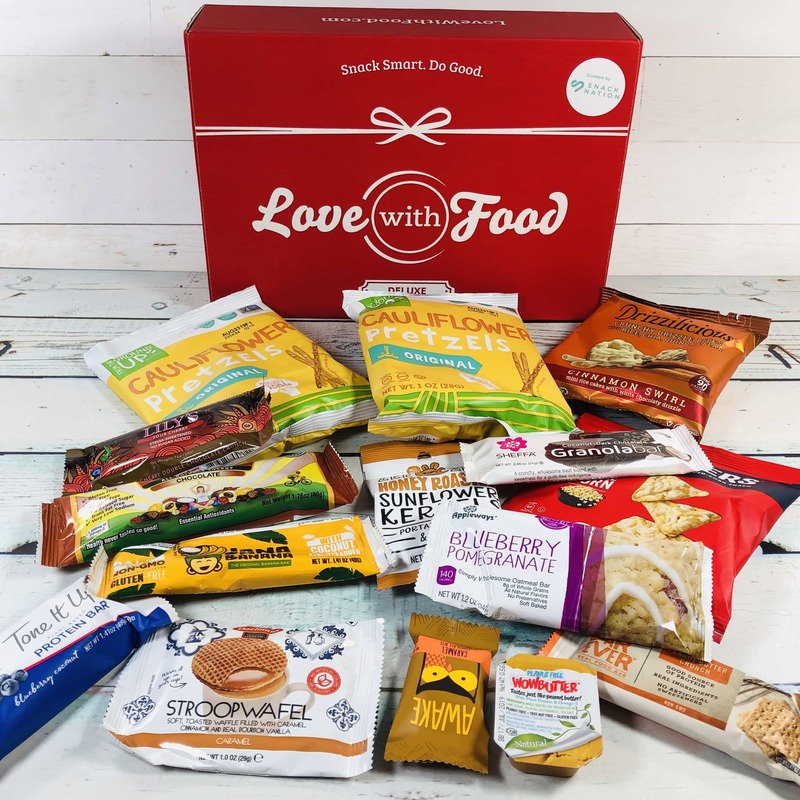 Love with Food Deluxe May 2018 theme was Thrive! 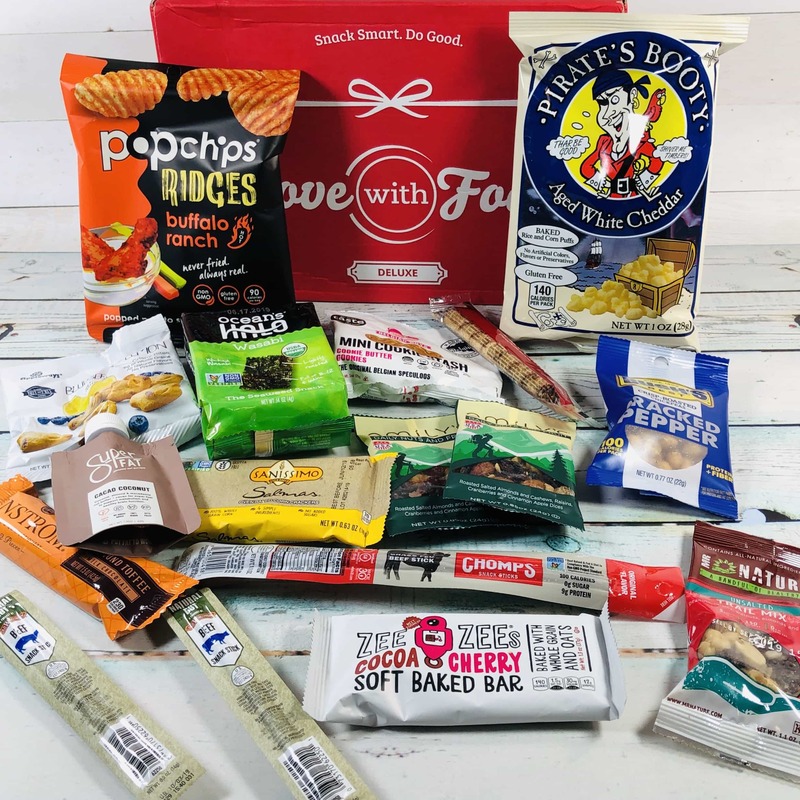 Check out our review of this snack subscription + grab 25% off coupon code!